"The House of Judgment shall have no Ketch, but live among the other Houses to guide the Kells and keep their secrets." 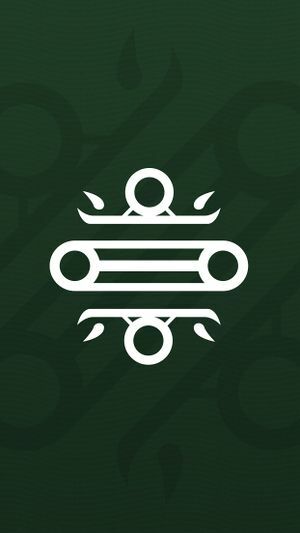 The House of Judgment is one of the oldest Fallen House which currently follow the purpose of the Eliksni civilization's reborn . "House Judgment closest thing to peace the Fallen ever know." The House of Judgement is a fore House, having existed since before the Fallen cataclysm known as the Whirlwind. In the past House of Judgment was the House that kept the peace between all Fallen Houses, being the mediator to avoid fighting between them. House Kells would seek counsel with them to better lead them away from battle with other Houses. But after the Whirlwind, and the splintering of Houses, their numbers decreased making it harder for them to both keep the peace and prevent infighting between Houses. Soon they spread themselves among the Houses, obeying the Kells, and worshiping their Prime Servitors. Likewise, when the House of Wolves fell to the Reef, the House of Judgment survived by swearing fealty to its Queen, Mara Sov. Variks, the only known member of the House, is currently the acting spy master for The Reef, being granted command of the Crows by Regent-Commander Petra Venj. He has redirected resources in order to locate the Kell of Kells, in hopes of uniting the Fallen Houses on Judgments behalf. In the aftermath the Reef's decay into chaos, Variks decided to name himself as the Judgment's Kell to bring a pragmatic evolution for his House and Eliksni-kind.